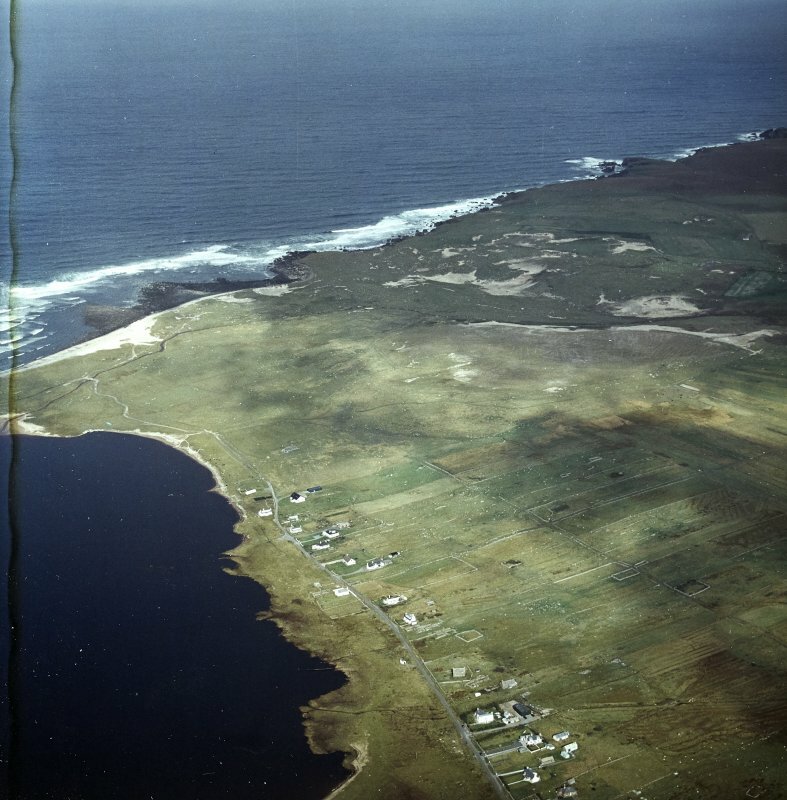 Oblique aerial view centred on the townships, taken from the E.
General oblique aerial view of the crofting township, taken from the WSW. 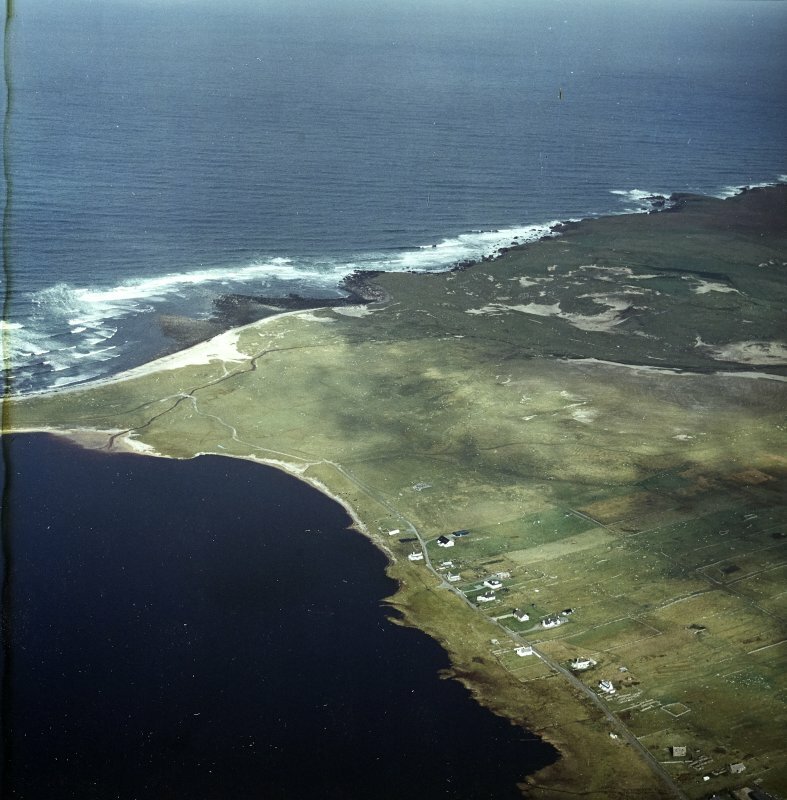 Oblique aerial view centred on the township, taken from the SE. 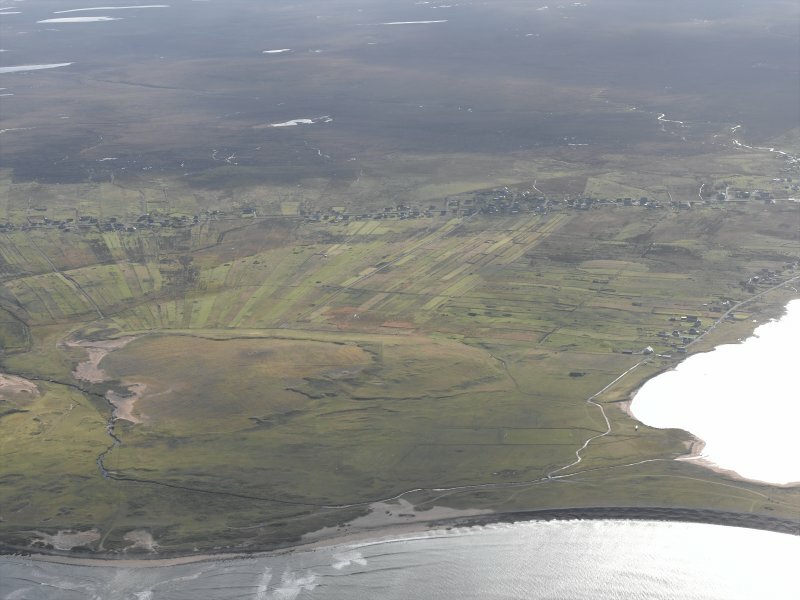 Oblique aerial view centred on Barvas Sands with the township adjacent, taken from the S.
Oblique aerial view centred on Barvas Sands with the township adjacent, taken from the SSE. 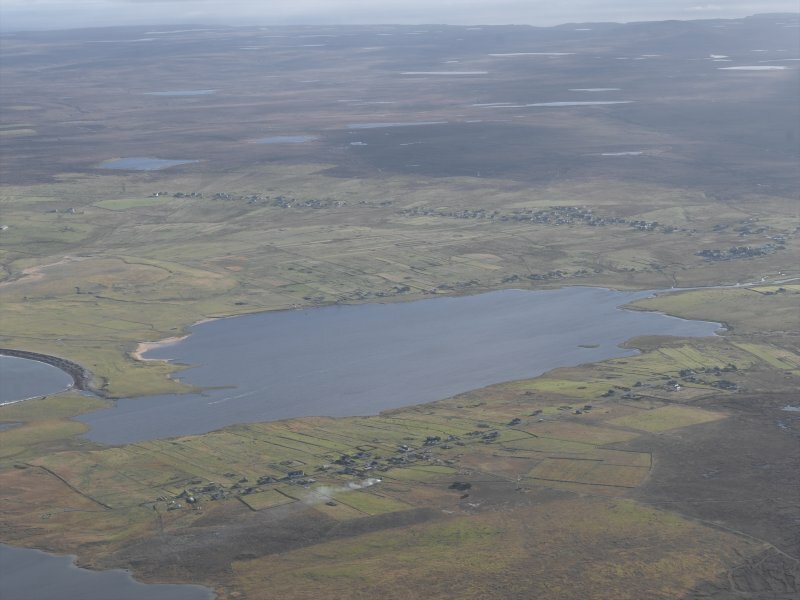 Oblique aerial view centred on Loch Mor Barvas with the townships adjacent, taken from the ENE. 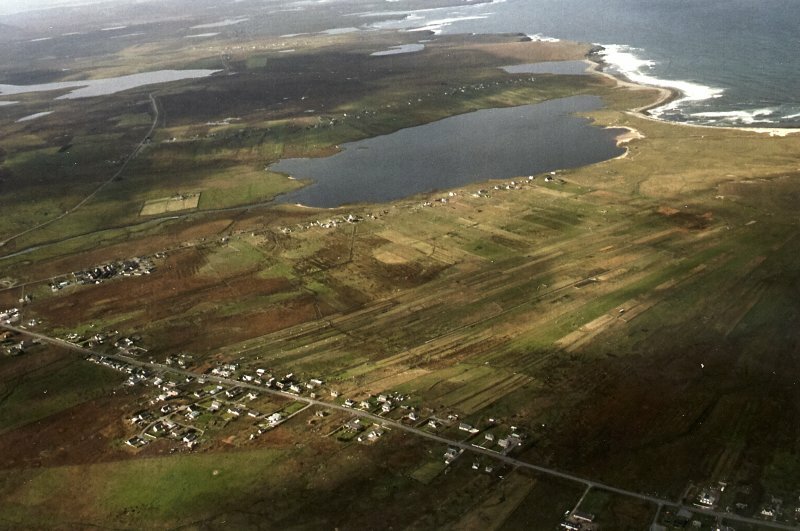 Oblique aerial view centred on Barvas Sands with the township adjacent, taken from the SSW. 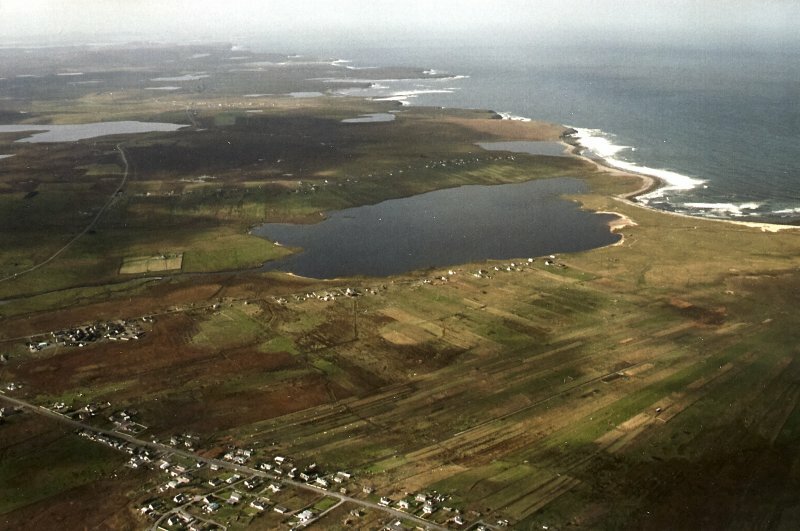 Oblique aerial view centred on Loch Mor Barvas with the townships adjacent, taken from the ESE. 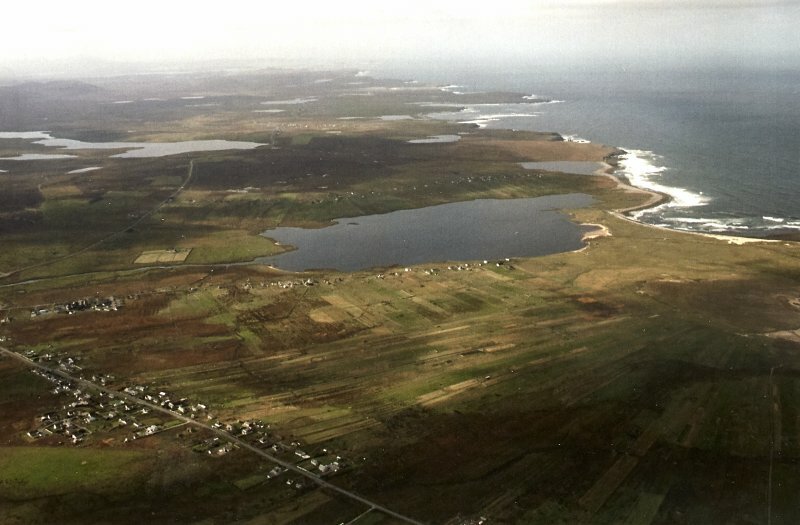 General oblique aerial view of the crofting townships, taken from the NW. 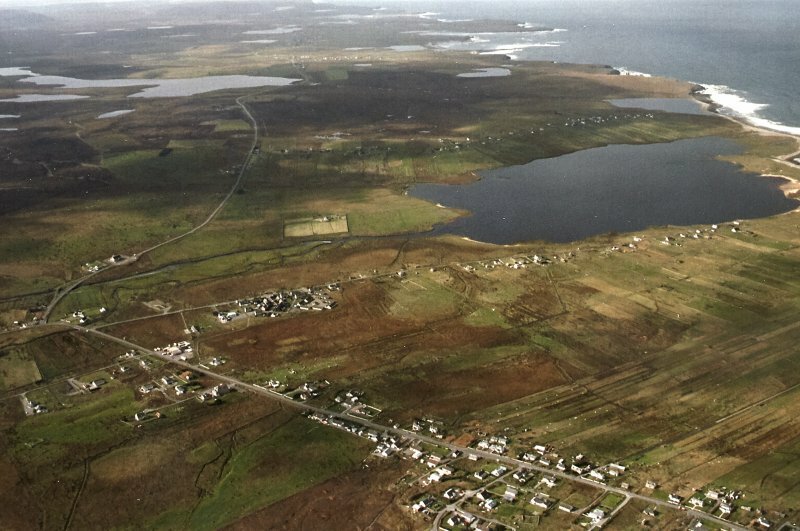 General oblique aerial view of Lower Barvas, taken from the SW.
Three separate occupied crofting townships can be identified on the 1st edition of the OS 6-inch map (Island of Lewis, Ross-shire 1853, sheet 8). 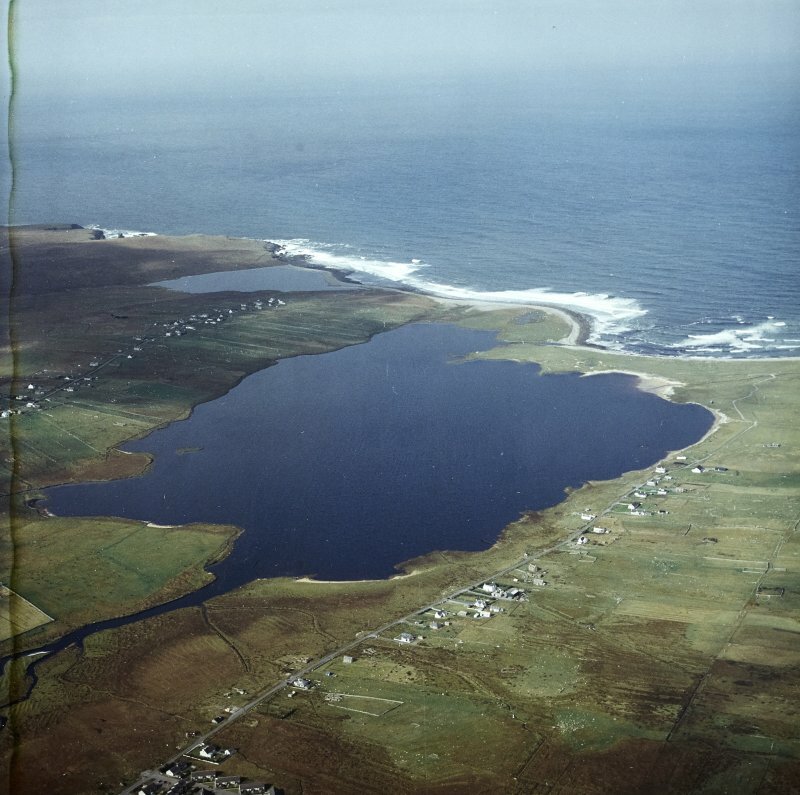 In addition two lengths of head-dyke lie within this site. 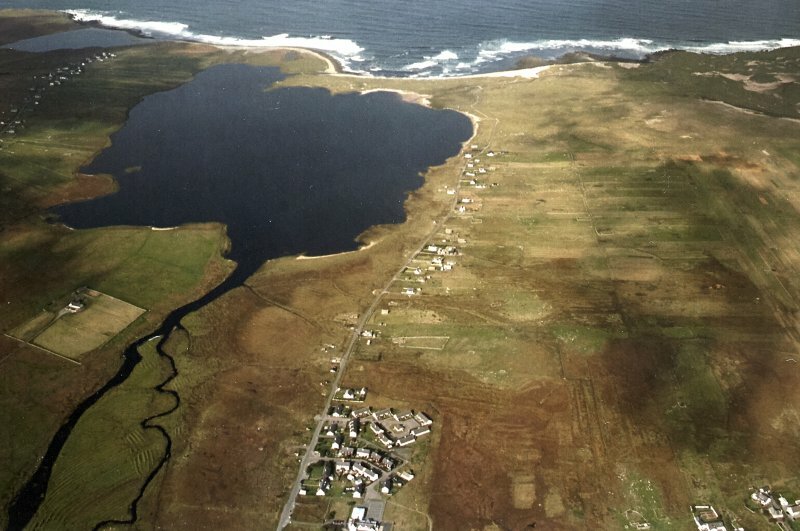 (NB 3505 5015) A crofting township, comprising eighteen roofed and six unroofed buildings is depicted on the 1st edition of the OS 6-inch map (Island of Lewis, Ross-shire 1853, sheet 8). Thirty-six roofed, six partially roofed and nine unroofed buildings are shown on the current edition of the OS 1:10000 map (1974). 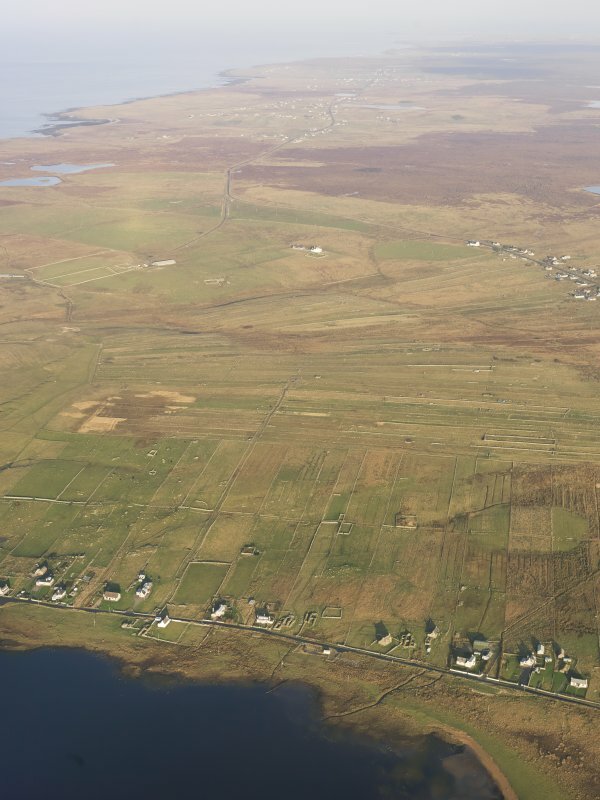 (Centred on NB 361 500) A crofting township, comprising thirty-nine roofed buildings, one partially roofed and twenty-five unroofed buildings is depicted on the 1st edition of the OS 6-inch map (Island of Lewis, Ross-shire 1853, sheet 8). 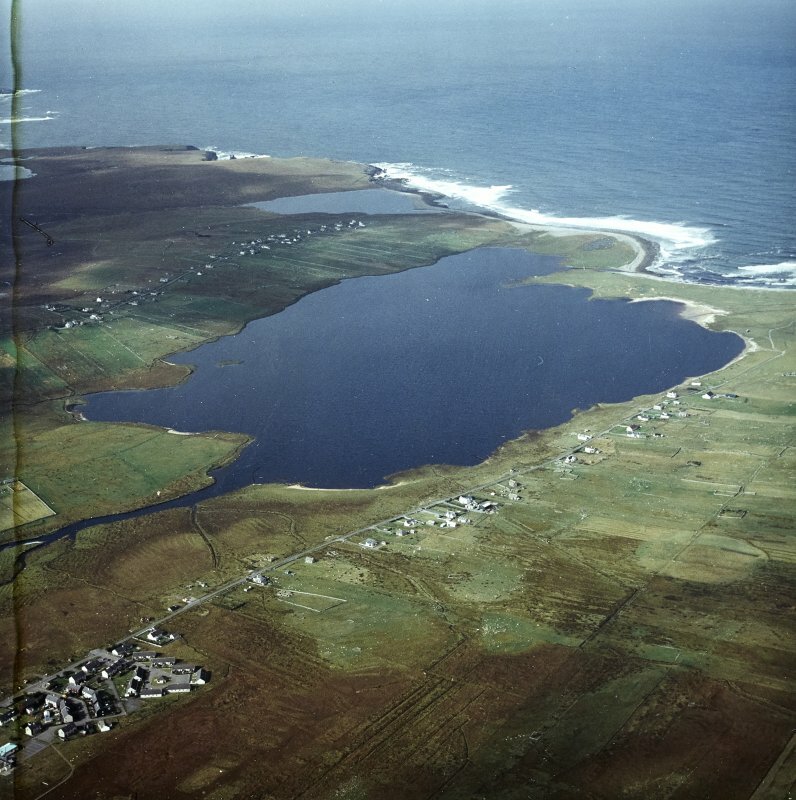 Sixty-eight roofed, five partially roofed and thirteen unroofed buildings are shown on the current edition of the OS 1:10000 map (1974). 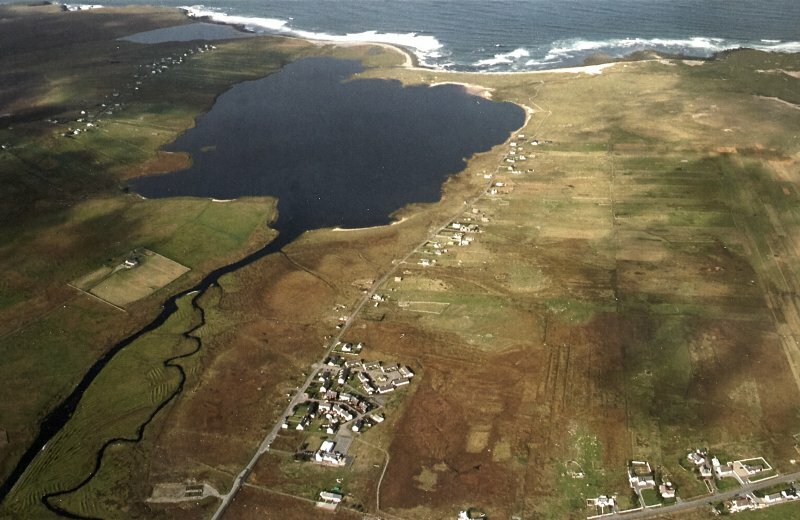 (Centred on NB 3655 5090) A crofting township, comprising nineteen roofed buildings, of which one is a corn-drying kiln and twenty-five unroofed buildings is depicted on the 1st edition of the OS 6-inch map (Island of Lewis, Ross-shire 1853, sheet 8). 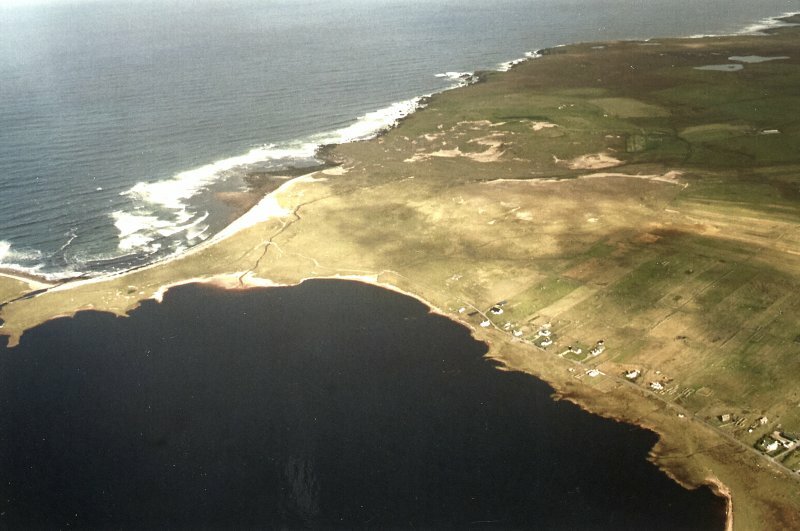 Thirty-two roofed, three partially roofed and three unroofed buildings are shown on the current edition of the OS 1:10000 map (1974). Information from RCAHMS (AKK) 20 February 1997.